Nespekashuti has been in the Artifact Lab for several months now and I’m finally ready to say that I’m (almost) finished with his treatment. I say *almost* because I saved one of the most difficult decisions for last – what to do about the gaping hole in his wrappings over his mouth. While I’m not quite ready to take the official after treatment images yet, I am going to post photos of how he looks in his nearly-complete status, along with explanations of what the treatment entailed. (I’ll also admit that posting these things on the blog helps me process my feelings about certain treatments, so thanks in advance for reading.) This post will focus on what I did with Nespekashuti, since I’ve touched on the treatment of his coffin in earlier posts here and here. Let’s play a little game of spot the difference. I’ll post the image again below, circling areas on the before treatment image that I addressed during the treatment. Some of these things are easy to spot while others are more subtle. – Let’s start from the bottom-up. 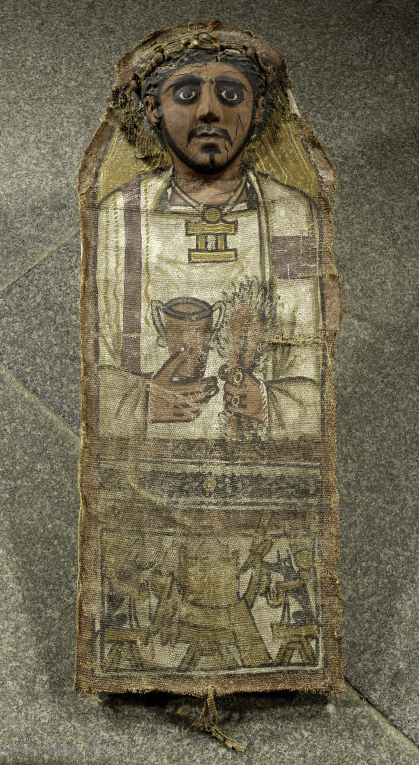 During my initial examination I noticed that his feet were re-wrapped at some point with what looks like ancient linen. 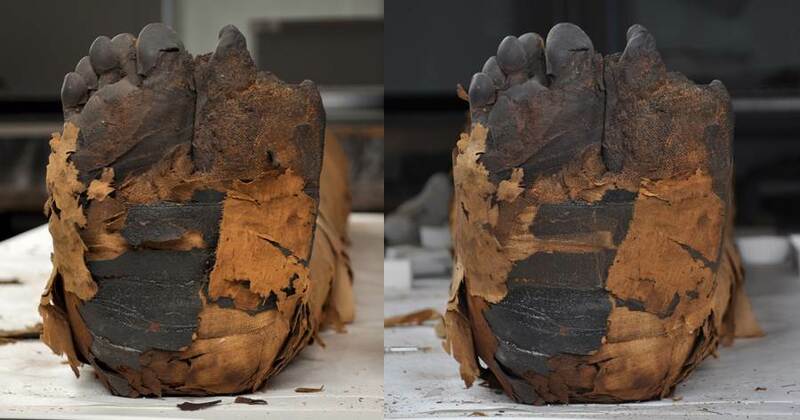 This re-wrapping probably happened before we acquired Nespekashuti in 1893 because in images of him from the Archives, the wrapping around his feet looks the same. 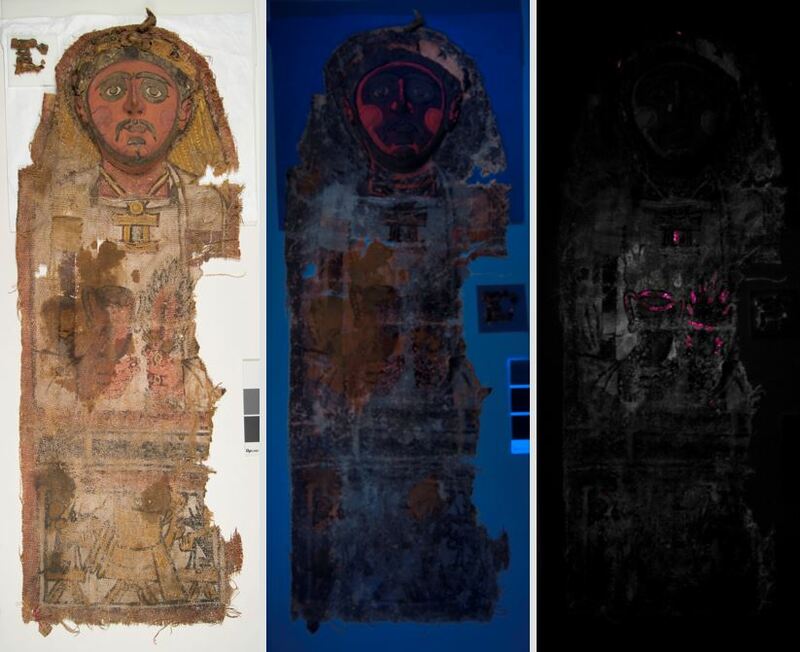 I can see why someone decided to re-wrap them – the wrappings underneath are significantly deteriorated and darkened, and on the underside, there are some bones exposed. Since we do not know when the newer linen was added (radiocarbon dating might provide more information but it also might not, since it is quite possible that the newer linen is also ancient and could be as old as the original linen) I did not remove it completely. The only change I made in this area was to clean up all of the powdery, deteriorated linen underneath and to encapsulate the damaged wrappings around the feet with nylon bobbinet before putting the newer linen back in place. – The next three red circles indicate areas where I realigned the linen and removed very deteriorated linen where it was fully detached. 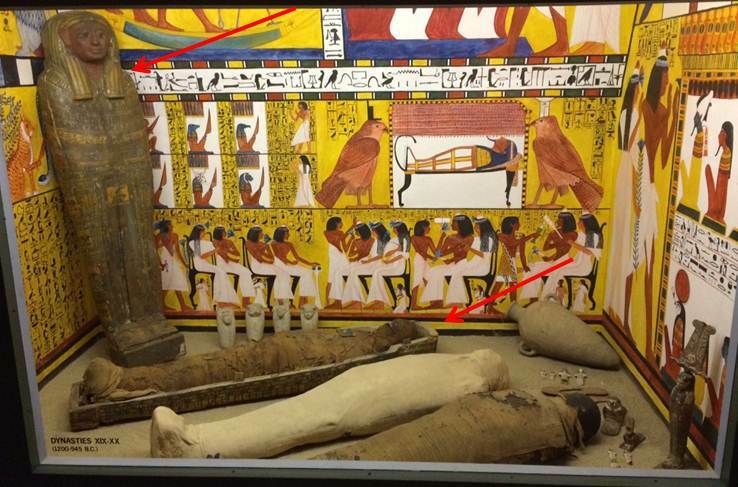 I actually did this all over the mummy, but these are areas where it is more obvious. 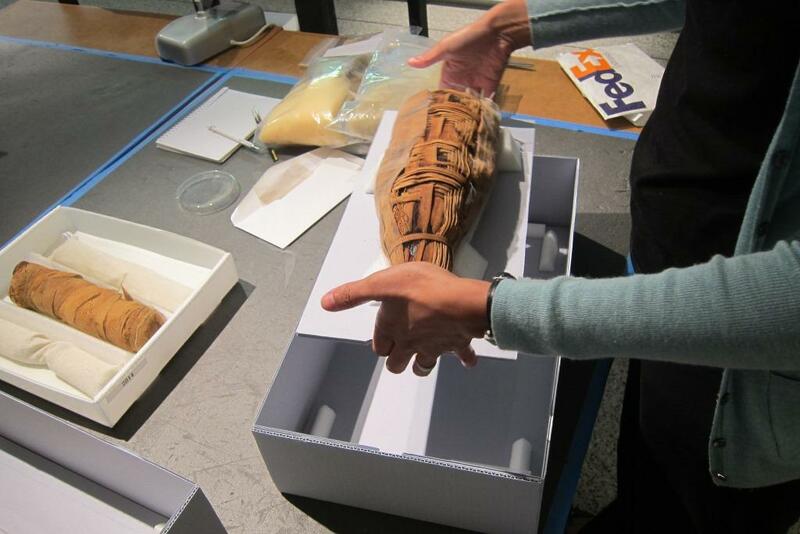 In order to keep the realigned linen in place after making these adjustments, I encapsulated the mummy from his neck to his ankles in nylon bobbinet, toned with acrylic paint to camouflage it. 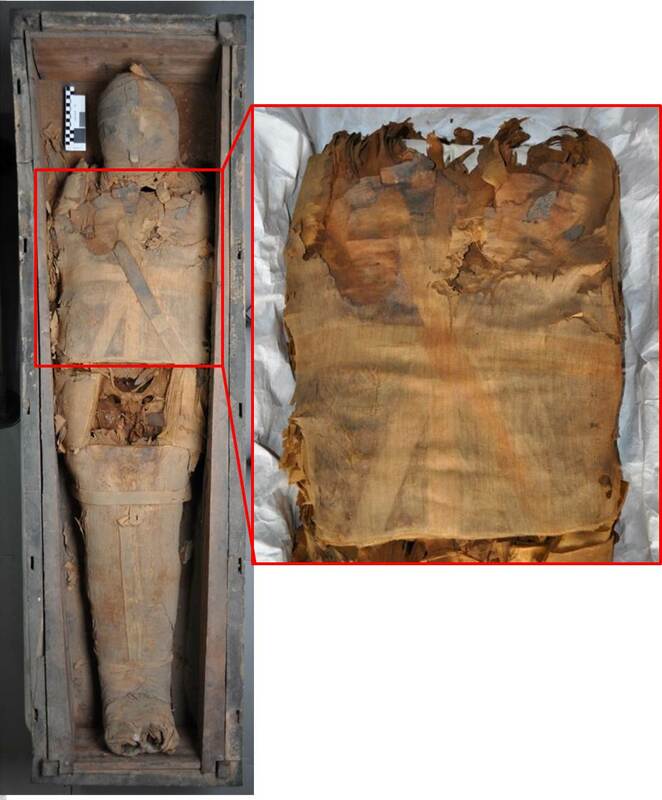 In the image above, you can see the nylon bobbinet draped over Nespekashuti’s body. 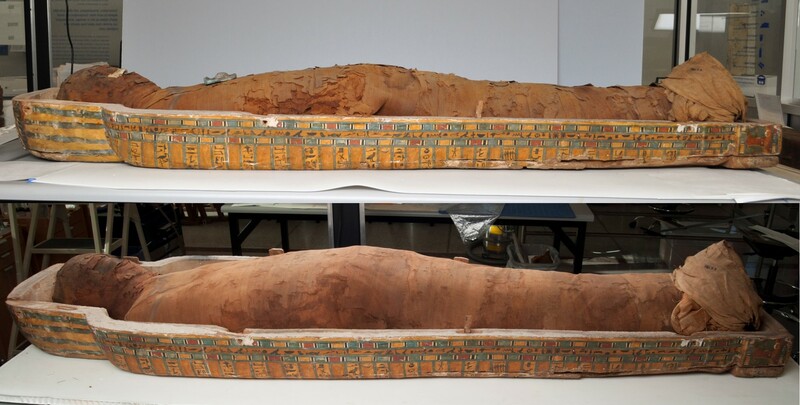 I secured the bobbinet by tucking it under his body and placing Tyvek-covered Ethafoam blocks in strategic areas between the body and the inside of the coffin (the Tyvek was also toned with acrylic paint to camouflage the blocks). – The red circle around the amulet on Nespekashuti’s chest is to indicate that I removed it for treatment. 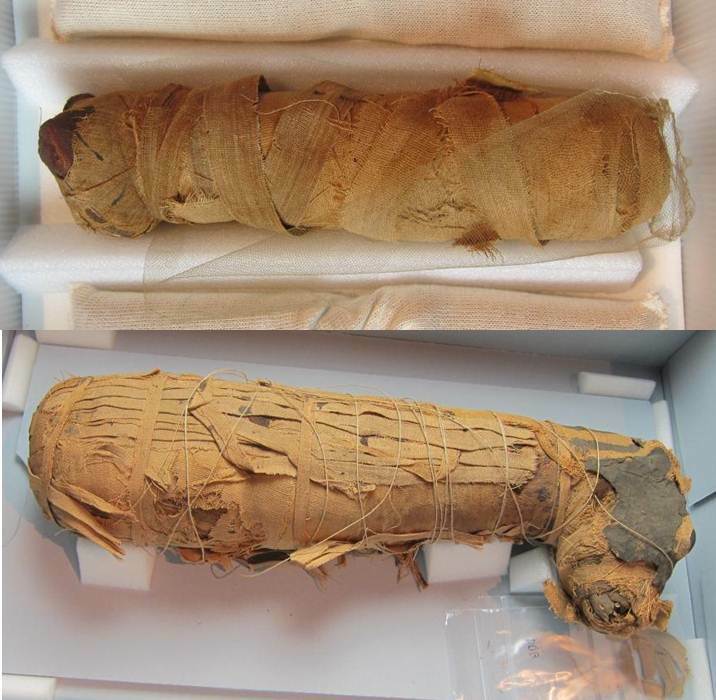 The amulet is actually not associated with the mummy at all – it was placed there for exhibition. The amulet is made of faience, dates to the New Kingdom/19th Dynasty, and was excavated from Aniba, Nubia by Charles Leonard Woolley in the early 20th century. It may be replaced for exhibition, but at this point I am not replacing it until our curators have a chance to weigh in. You can see how this all looks from the front in the very first image I posted, but I’m focusing on how he looks from the side since he was previously displayed like this and this is most likely how he will be viewed when on exhibit in the future. 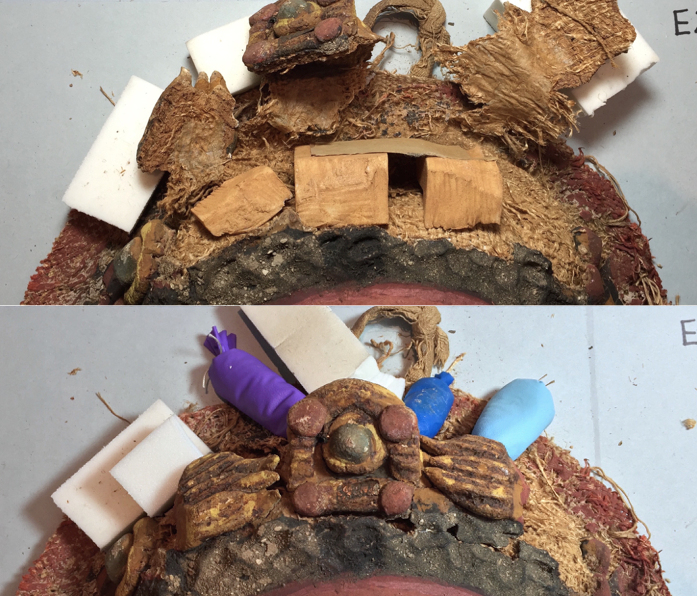 I made the fill by first covering his exposed teeth and surrounding bone with nylon bobbinet, then I layered the exposed area with Japanese tissue paper toned with acrylic paint, and finally I layered some toned bobbinet over the paper. 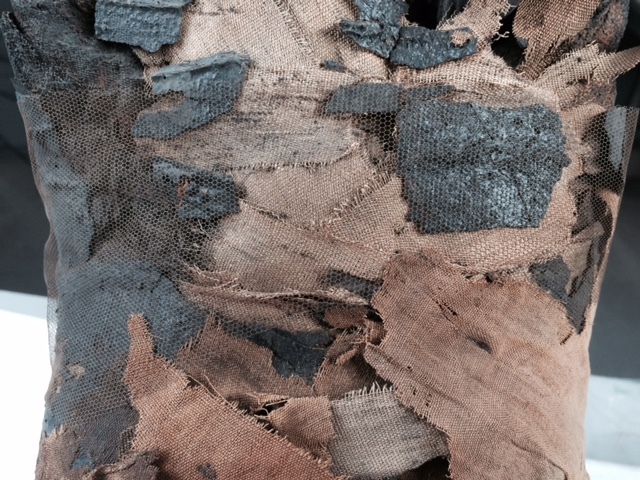 All of the fill materials are tucked into the damaged linen around the loss in this area. 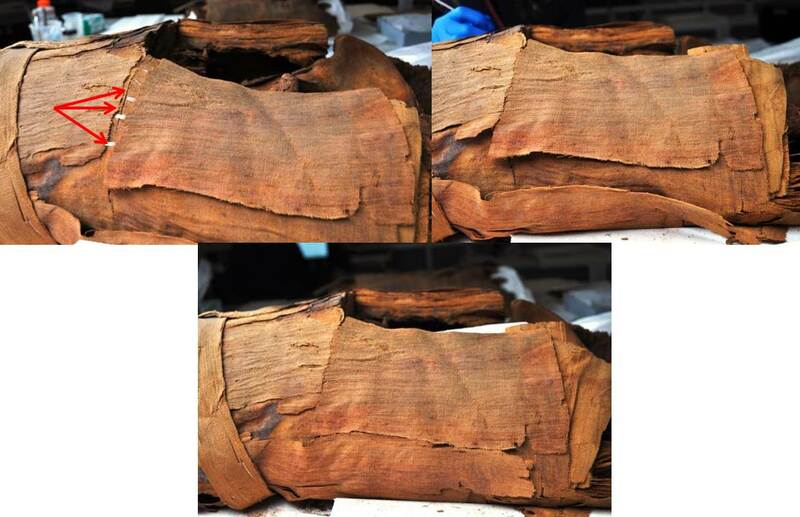 If our curators agree that the treatment is complete and that the fill can be left in place for now, I’ll call the treatment done and finish all of the after treatment documentation. I know that our visitors and readers of this blog were divided on what to do about the mouth, but I think we can all agree that Nespekashuti has received the much-needed care that he deserves. Please write in with any comments or questions you have about any aspect of this treatment! I will be sure to post something on the blog if we make any additional changes, or decide to scrap the mouth covering all together. What’s the deal with Pinahsi’s feet? 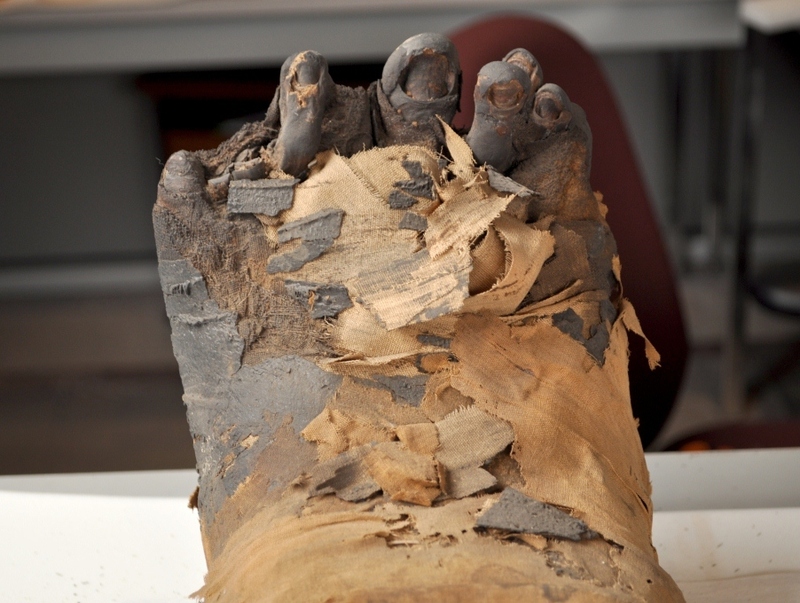 I think we can all agree that our mummy Pinahsi’s feet need a little TLC. A long time ago, the wrappings around his feet were damaged, exposing his toes. His toes are very well-preserved, despite the fact that 2 toes on the left foot are missing. The second toe on each of his feet is lifted away from the others, and we have been debating whether this distortion was caused by the feet being tightly wrapped during mummification (which they were) or whether this distortion was caused by a condition Pinahsi had during his lifetime (I’m leaning toward the second possibility). In any case, I thought it was about time his feet received a little bit of attention. While I can’t do anything for those crooked toes, I am able to address the damaged linen and resin-coated linen wrappings around his feet. I repaired a few tears in the linen with Japanese tissue paper and 5% methyl cellulose, and then I wrapped the feet in the most damaged area with nylon bobbinett, toned to match the surrounding material with acrylic paint. 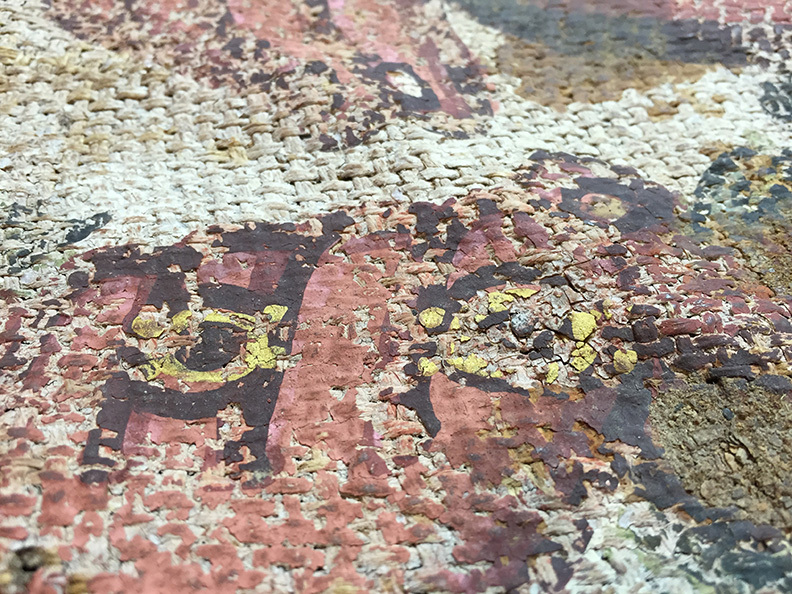 Visually, the difference is subtle, but I can assure you that the feet are going to be much less prone to continued deterioration now that the damaged linen is stabilized and protected. Details of the feet before (left) and after (right) treatment. The bottom of the feet before (left) and after (right) treatment. In the images above, you can probably pick out the band of bobbinett – it’s more visible on the bottom than on the top. When you get really close to the feet, the bobbinett is really obvious. Detail of the top of the feet, showing the bobbinett overlay. In our efforts to strike this balance between making our work more or less invisible, while also wanting to make sure that the new materials we add are easily distinguished from the original, we often refer to the “six-foot/six-inch” rule – at six feet, our work is not obvious but at six inches you will be able to see it. In this case, it is my hope that when the mummy is on display and viewed through the display case, the bobbinett I add will not be distracting to the viewer, but when you look for it, you’ll be able to pick it out. Now I’m about to tackle the damaged linen on Pinahsi’s body. 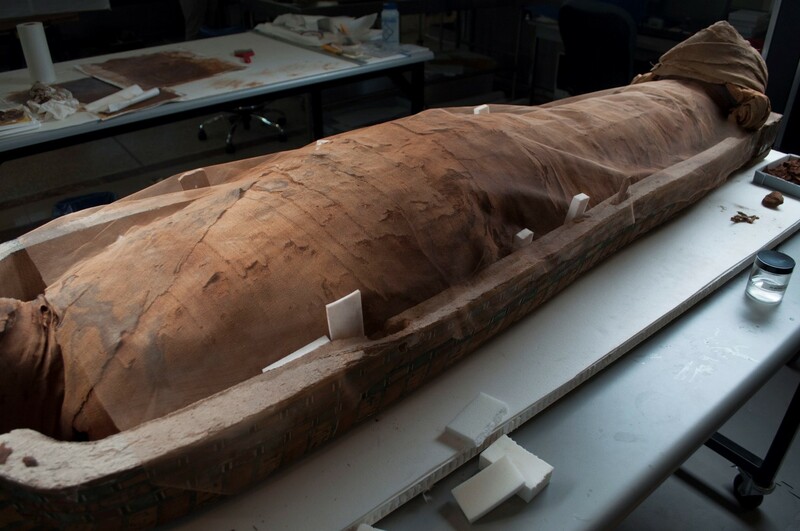 Just yesterday, we lifted Pinahsi up onto some Ethafoam support blocks, to allow me to access the damaged areas on the mummy’s sides and back. Pinahsi raised up on Ethafoam blocks. I will provide updates as I complete more of the treatment! 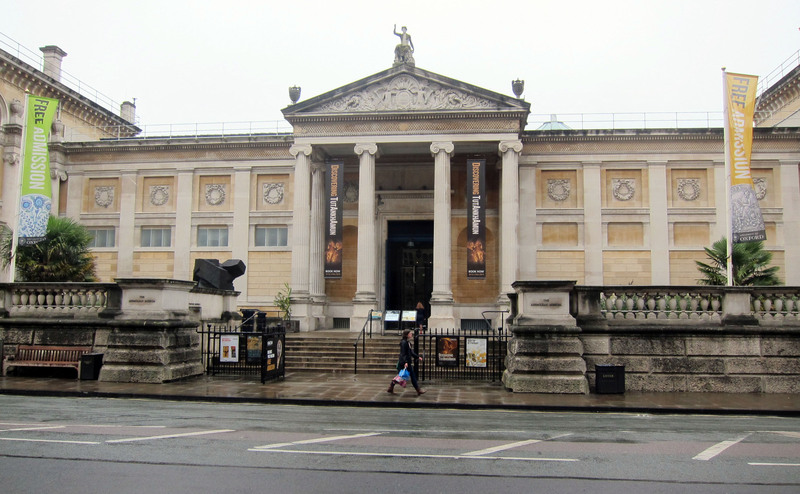 Day 2 of Understanding Egyptian Collections at the Ashmolean featured 11 speakers (including myself), and the papers covered a wide range of topics. I didn’t take any photos during the talks, so I have less visual content to share for this post. For ease of sharing the information about the presentations, I’m going to list the talks here, with speakers names, titles, and brief remarks (all of the talks over the 2 days deserve way more attention than I give them here and in my previous post – hopefully a publication will result – see more about this below). Several of the talks had co-authors, but I’m only listing the co-authors names if they were present at the meeting. 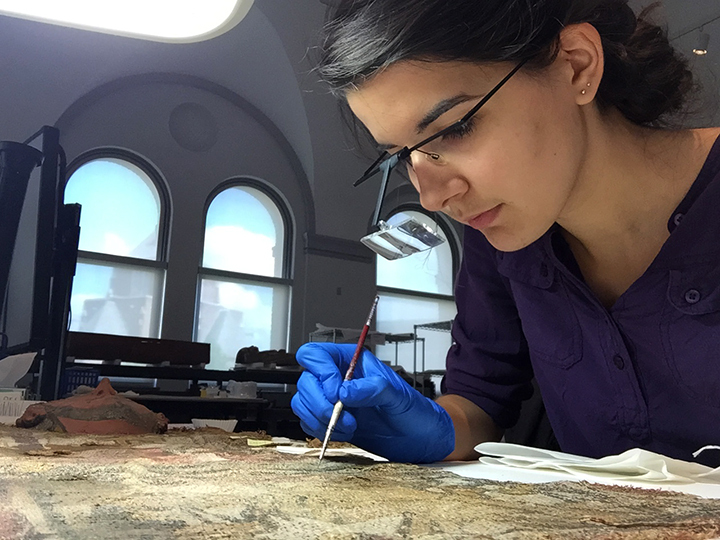 “Evolving Attitudes: past and present treatment of Egyptian Collections of the Oriental Institute.” Alison Whyte, Associate Conservator, Oriental Institute. Alison shared many old archival photos which have helped conservators understand old restorations, and make decisions about how to revisit the conservation of objects that have been in their collection for a long time. Alison also shared the project of the guest curator Rozenn Bailleul-LeSuer of the special exhibit “Between Heaven and Earth – Birds in Ancient Egypt“. 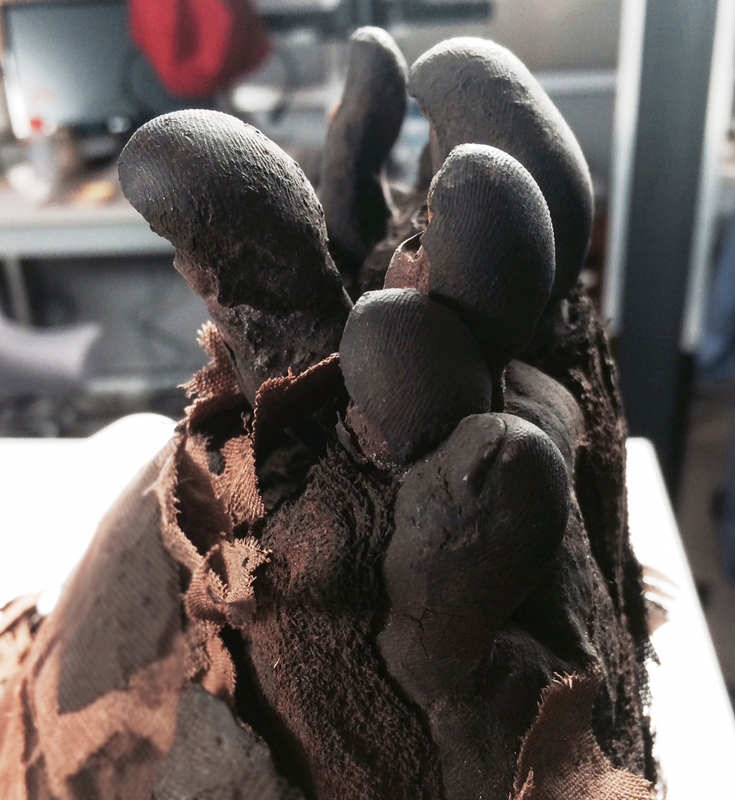 Rozenn’s work included CT-scanning and making a 3D print of an eagle mummy, and 3D replicas of its skeletal remains. She brought a 3D print of the eagle mummy to show us, but unfortunately it got lost on her way to the conference along with the rest of her luggage! Let’s hope that it eventually turns up. “Mummy case saved by LEGO: a collaborative approach to conservation of an Ancient Egyptian cartonnage.” Sophie Rowe, Conservator, and Julie Dawson, Senior Assistant Keeper, Conservation, Fitzwillliam Museum, University of Cambridge. I was familiar with this project due to the fact that it was prominently featured in the news last year. This project was a collaboration between conservators and engineering student David Knowles, who designed a structure to support a cartonnage coffin upside-down during treatment, and devised a plan to use LEGO structures to provide long-term support for the coffin from the interior. 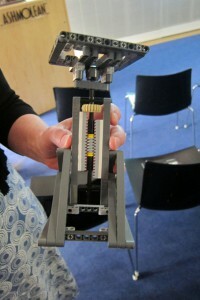 To the right is an image of the LEGO structure (it looks a little different from the LEGOs we’re all familiar with). “The importance of technical analysis and research for the conservation and display of archaeological garments.” Anne Kwaspen, Conservator of the Archaeological Textile Collection, Katoen Natie. I had never heard of Katoen Natie before – it is a company based in Antwerp that has invested in collecting art, through a program called HeadquARTers. 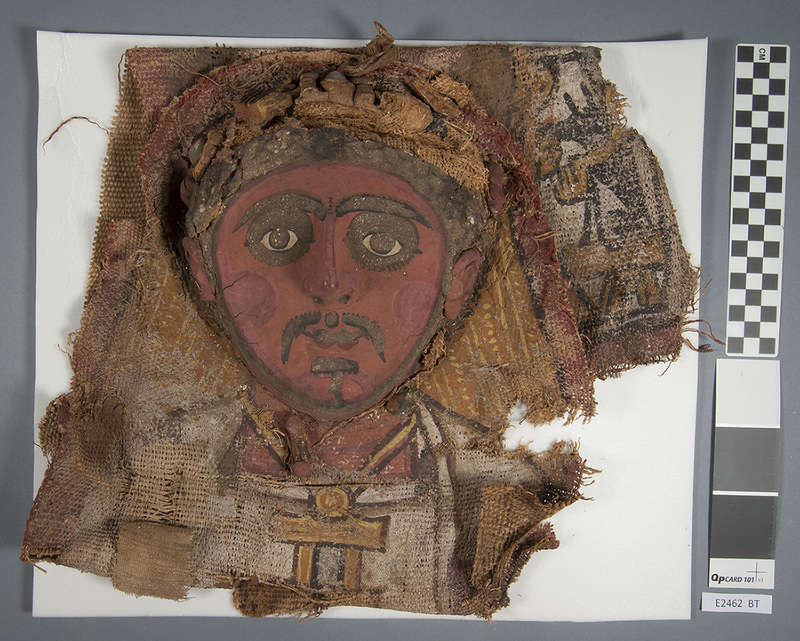 They have a collection of archaeological textiles from the art market and private collectors. Anne discussed the study and conservation of their Egyptian wool and linen tunics, and their approach to display. “Problems and possibilities for the Petrie Museum’s pottery display.” Susanna Pancaldo, Senior Conservator, UCL Museums and Collections. 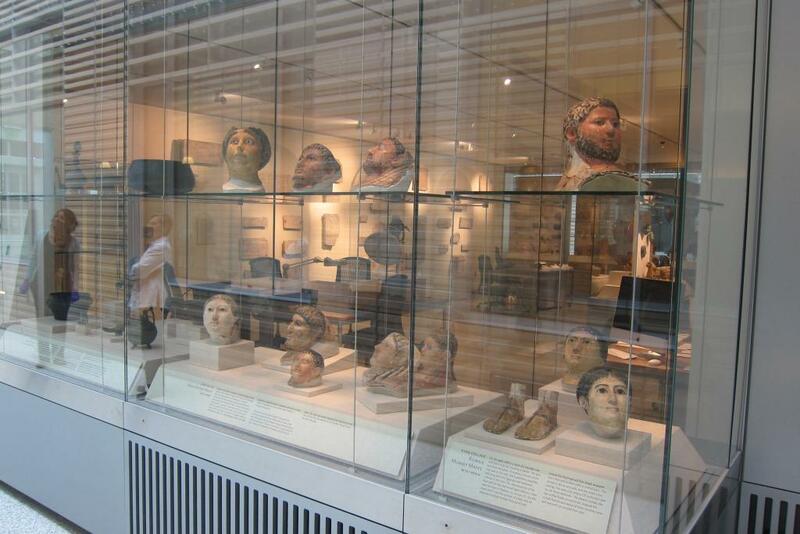 Susanna spoke about recent upgrades to the pottery room at the Petrie Museum. 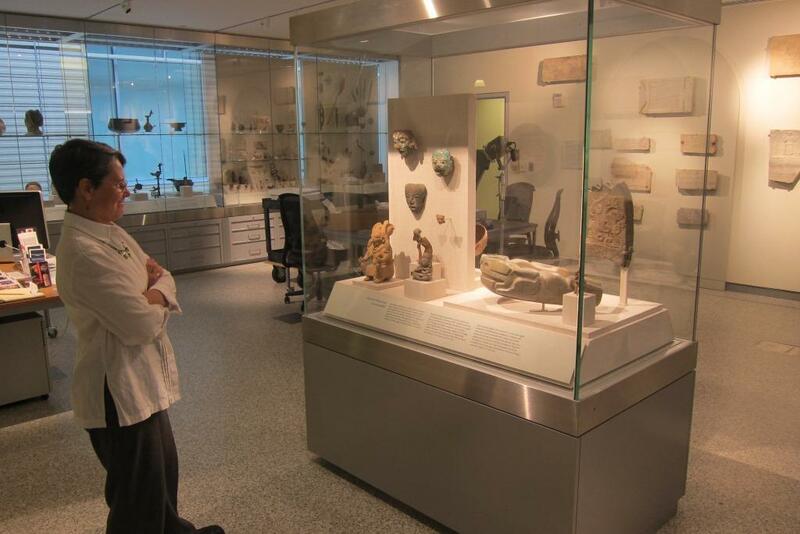 Their pottery room has approximately 3400 objects on display in 36 cases, and was suffering from issues with light, extremes in relative humidity and temperature, lack of mounts and damaging mounts, lack of space, and outdated/minimal labels. In 2014 they received funding to make improvements, including new lighting, new interpretive information, the addition of an introductory showcase showing Petrie’s sequence dating technique, and to carry out conservation surveys and treatments, among other things. 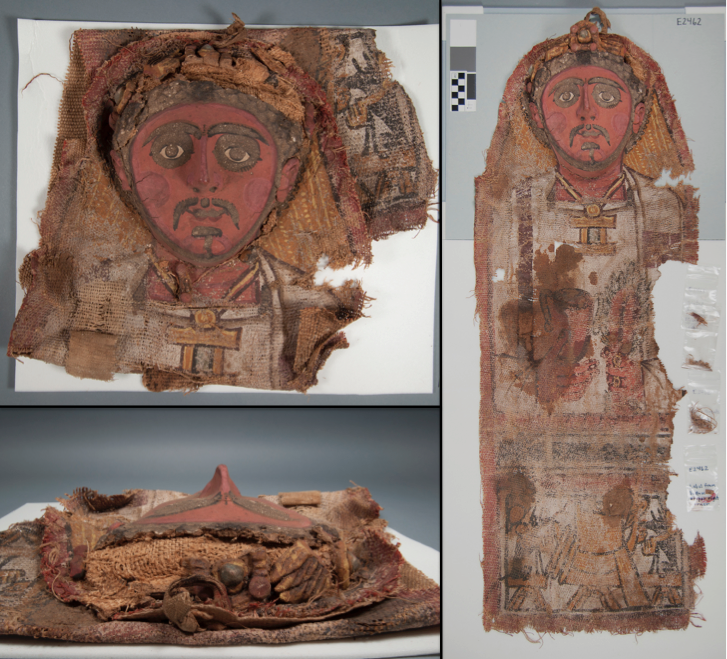 “Innovations for the display of Dynastic textiles using existing designs at the Metropolitan Museum of Art.” Emilia Cortes, Conservator, Metropolitan Museum of Art. Emilia’s presentation focused on the remounting of Egyptian textiles on exhibit to allow for easier access. She showed how she was able to modify existing mounts for elaborate, intricate objects, including this incredible floral collar from Tutankhamun’s embalming cache. Her retrofits included the innovative use of food-grade silicone for preventing movement of objects on exhibit. “King Menkaure in Motion: the metamorphosis of a Monolithic royal sculpture from the Old Kingdom.” Susanne Gansicke, Conservator, Museum of Fine Arts, Boston. Susanne described the monumental task of moving their King Menkaure statue from one gallery to another within the Museum of Fine Arts. With 2 years lead time, they were able to do gamma radiography of the sculpture in the gallery to help prepare and make decisions about the move, which involved setting the statue on a lifting frame, with 12 wheels attached, and then moving it with the assistance of 2 lifts. It was a very thoughtful project and an impressive feat! 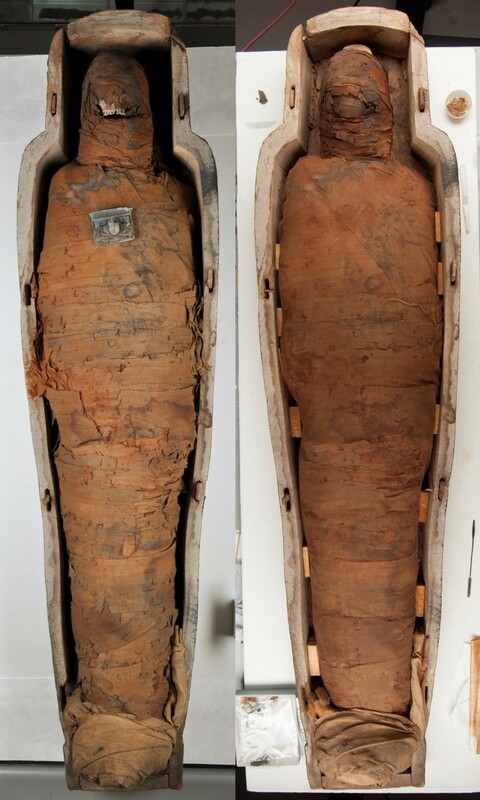 “On not exhibiting a corpse: the Mummy Chamber, Brooklyn Museum.” Lisa Bruno, Head Objects Conservator, Brooklyn Museum of Art. 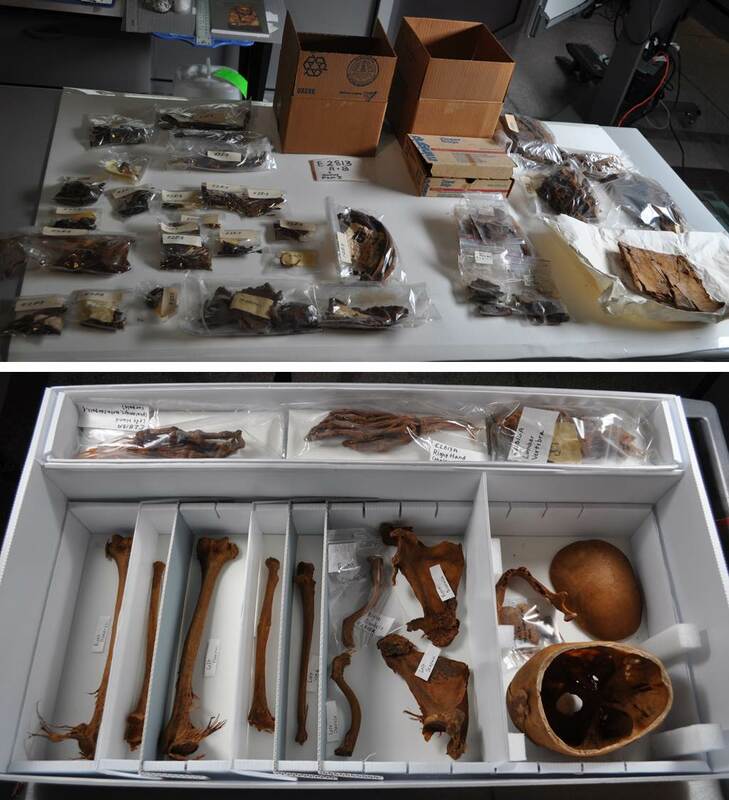 In preparation for the museum’s new “Mummy Chamber“, conservators at the Brooklyn Museum worked on 2 unwrapped mummies, Pa-seba-khai-en-ipet and an anonymous man. 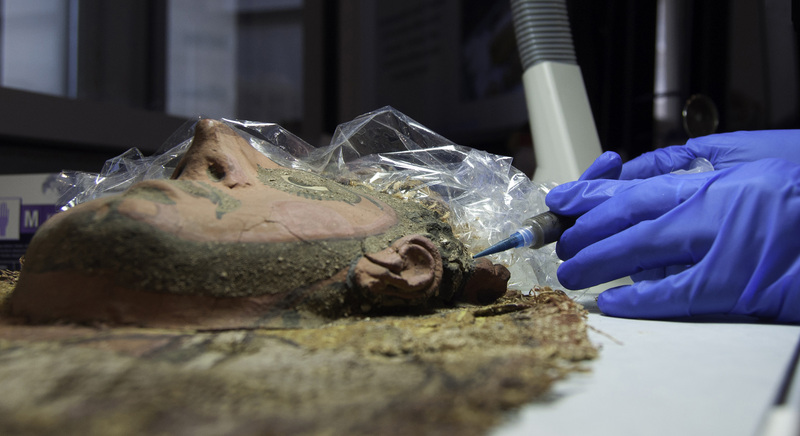 The anonymous man, who was methodically unwrapped in the late 1950s, with the procedures documented in the book Wrapped for Eternity, was rewrapped in the conservation lab for display. 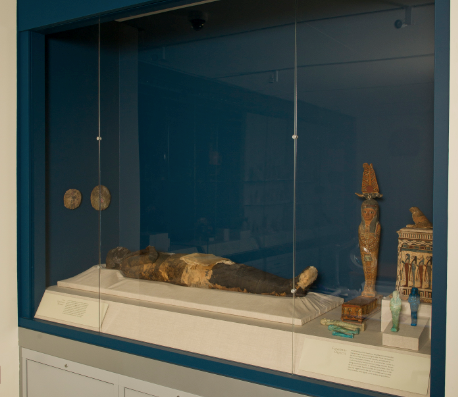 The decision was made not to display the remains of Pa-seba-khai-en-ipet due to his poor condition, and ultimately, because displaying his remains would mean displaying a corpse, not a mummy. 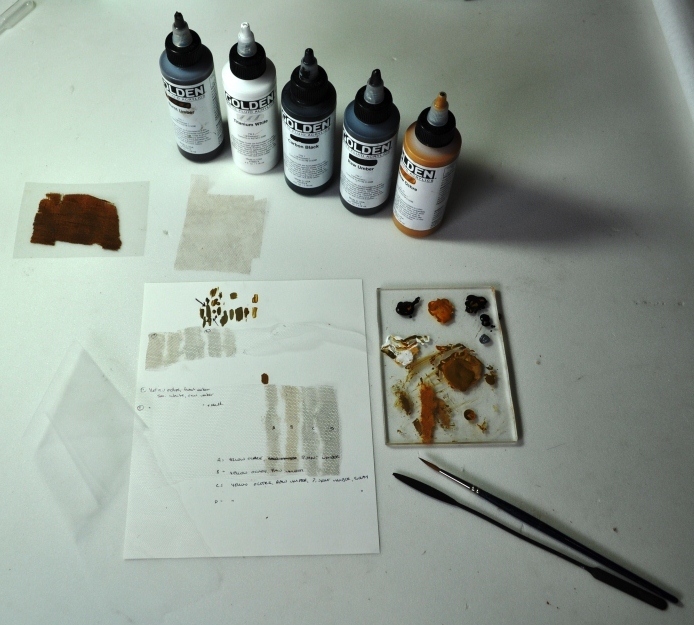 “Reflecting on Egyptian Pigments: the use of Fibre Optic Reflectance Spectroscopy (FORS) for pigment analysis at the Fitzwilliam Museum.” Jennifer Marchant, Antiquities Conservator, and Abigail Granville, Pigment Analyst, Fitzwilliam Museum, University of Cambridge. Jennifer and Abigail discussed their use of FORS to analyze pigments using a FieldSpec 4 spectroradiometer, which measures in the UV/visible/near IR range. They are building their own reference library, and finding that it is useful as an initial non-invasive examination method, and may be used in the examination of varnishes and binding media as well. 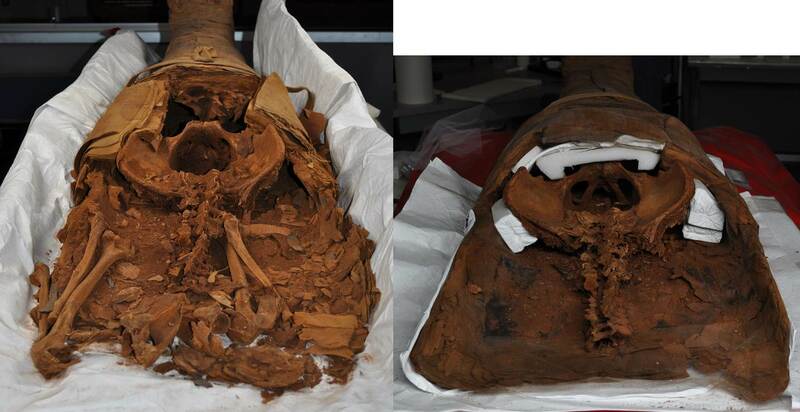 “A case for keeping: the life and afterlife of ritual metal statuary in Ancient Egypt.” Deborah Schorsch, Sherman Fairchild Center for Objects Conservation, Metropolitan Museum of Art. Deborah spoke about examples of Egyptian metal statues in collections around the world that show evidence of reworking for various reasons, often for the purpose of the object serving a new ritual function, or removing details in order to retire objects. 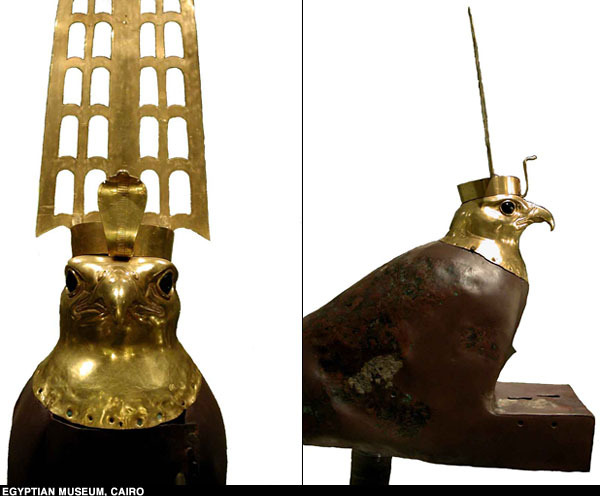 One example she spoke about at length was the copper and gold Hierakonpolis falcon in the Egyptian Museum in Cairo. This statue had 4 different phases, with new material being added in each phase of its life. “Ancient Worlds: Open data, mobile web, haptics, digital touch.” Stephen Devine, Digital Communications Officer, and Sam Sportun, Collection Care Manager/Senior Conservator, Manchester Museum. Stephen and Sam introduced us all to Haptic technology and how it is being used at the Manchester Museum to allow visitors to “handle” artifacts. They also spoke at length about the importance of mobile technology and the development of an app to allow visitors to explore and provide feedback about their Ancient Worlds exhibit. Ashmolean Head of Conservation Mark Norman gave the closing remarks, and expressed their interest in producing a publication from the conference. All of the talks were also filmed, and the conference organizers are planning on making the talks available via iTunesU. I also should mention that there were several posters at the conference, which were presented on a monitor as a slideshow, and the poster presenters were given ipads to share their “posters” during the breaks. I’m sorry to say that I didn’t have a chance to see several of the posters, so I’m hoping this content will be made available in the future as well! 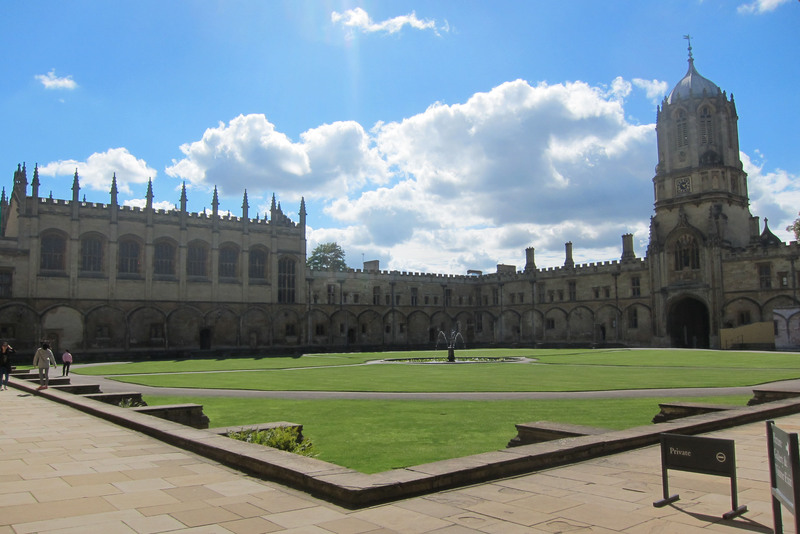 It was a short, but very worthwhile trip to Oxford. I hope to have the opportunity to return soon. It’s been a busy week in the Artifact Lab, and I was fortunate to have lots of help from our University of Delaware pre-program intern Melissa Miller and our summer graduate intern from Cardiff University’s conservation program, Anna O’Neill. As I’ve written about previously, I have been working on the stabilization of some of PUM I’s linen on his head, chest, and body. You can read a little more about it by following this link. All of this work is in preparation for the encapsulation of PUM I’s outer shroud using nylon bobbinett, or netting. 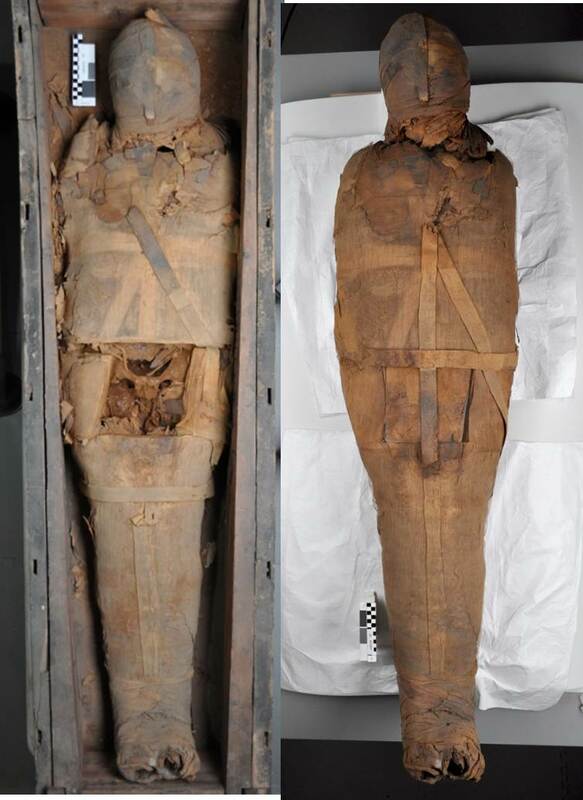 Encapsulating the mummy with a sheer material like the nylon netting will help to hold many of these fragile areas together and will provide support and protection for this very deteriorated fabric, BUT because it is so sheer, it will still allow details of the linen to be seen. 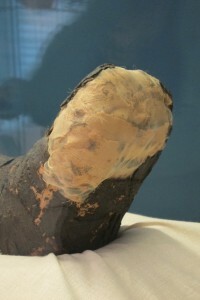 I used a similar technique to protect the linen on the “feet” of our falcon mummy (see our post about this here). Re-creating the color of “mummy cloth” is harder than you’d think – the linen is not all the same color, so we need to find a color that will blend in well with the various shades. In the upcoming weeks we hope to start “re-wrapping” PUM I and then begin the process to reassemble all of his various pieces. 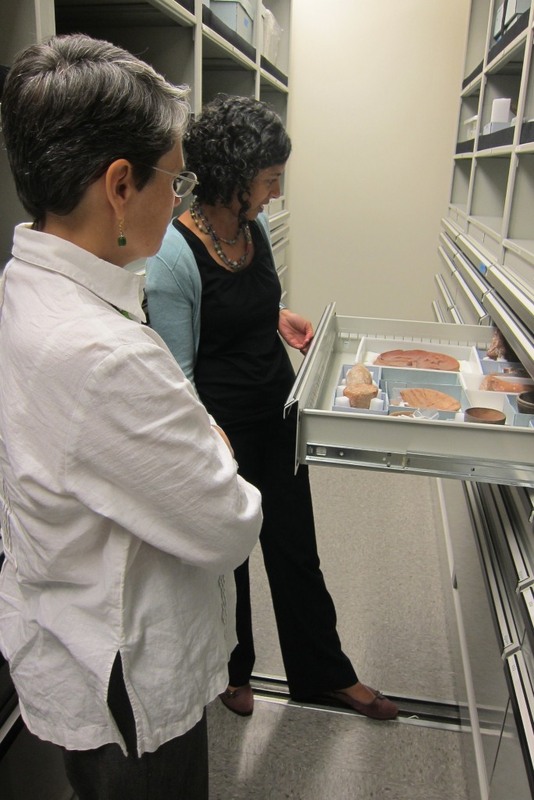 As usual, there’s always something exciting to see in the Artifact Lab! 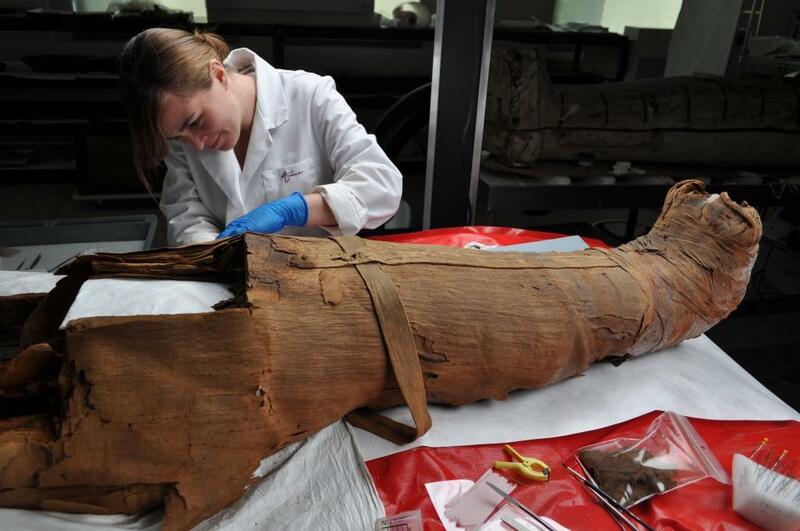 This week, I started to work on the treatment of our mummy PUM I‘s linen wrappings. Poor PUM I – not only is his body quite deteriorated and in multiple pieces, but his linen wrappings are also fragmentary and very fragile. Some of linen in the worst condition are the pieces that once covered his chest, which were cut off during the 1972 autopsy. This rectangular section of textiles was cut away as a single unit during the 1972 autopsy. In addition to the mechanical damage caused by the autopsy, the linen has suffered from insect damage and it is significantly stained and embrittled in areas, likely due in part to deterioration of the human remains they were once in contact with. While this linen is in poor condition, it can be moved as a single unit, so we removed it for treatment. 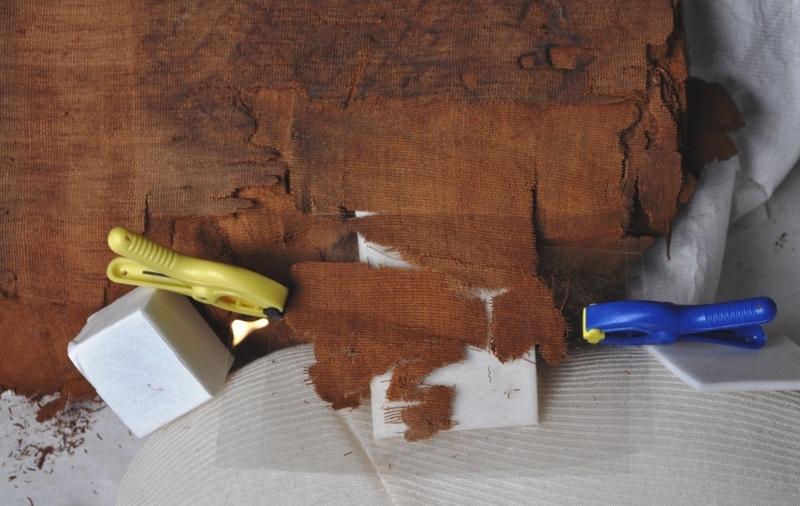 The goal of the current treatment is to keep the linen layers in this section together; to prevent them from slipping out of alignment and to prevent the linen from continuing to tear and deteriorate even more. After vacuuming the linen thoroughly, I got to work relaxing distorted areas and realigning tears. To realign tears, I bridged these areas from behind with small pieces of Japanese tissue paper, adhered in place with methylcellulose adhesive. The methylcellulose works well because it sets very quickly with only a small amount of pressure from my finger or a spatula. This is only the beginning of the treatment on PUM I’s wrappings, but I think they are already looking better!